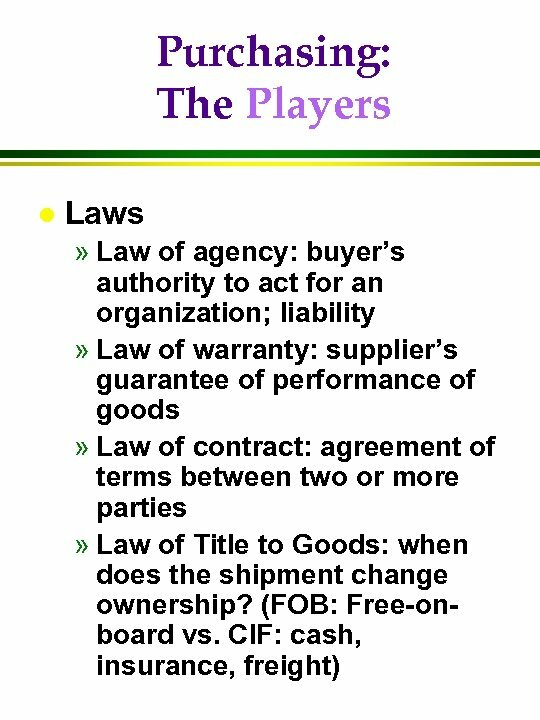 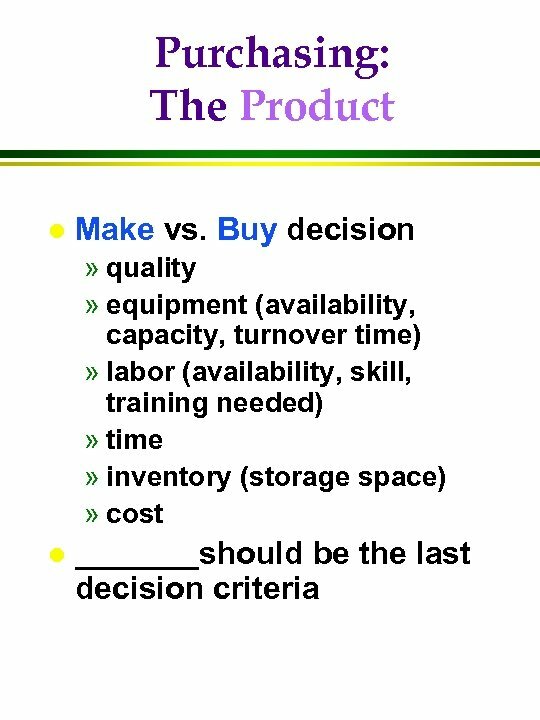 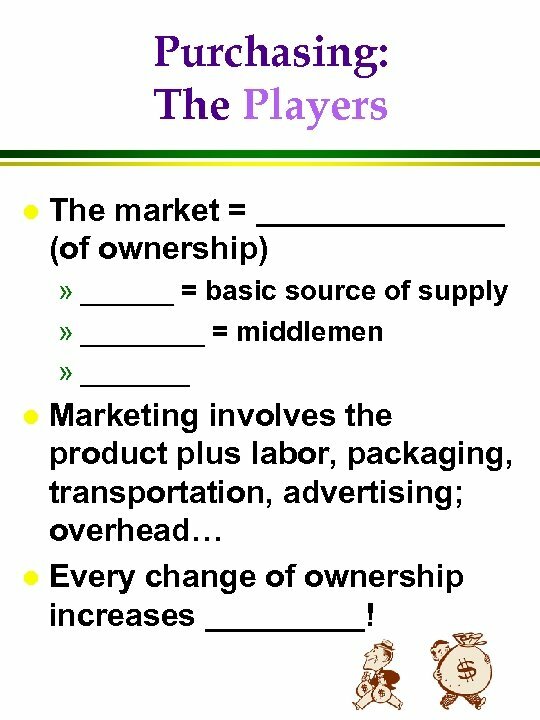 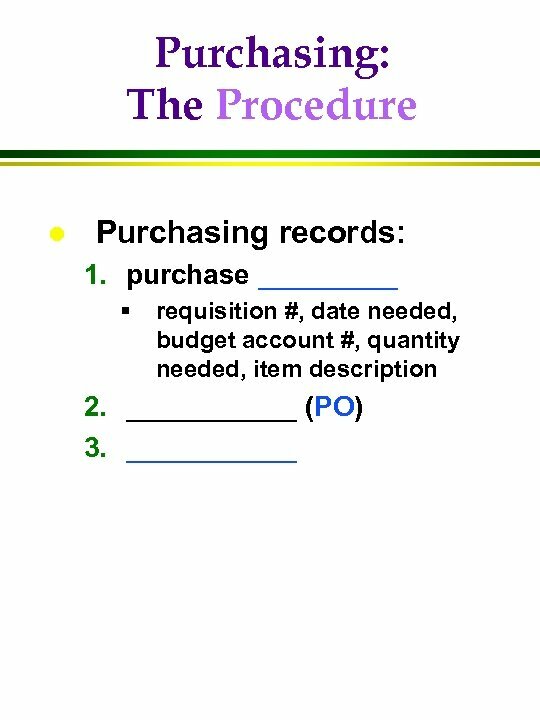 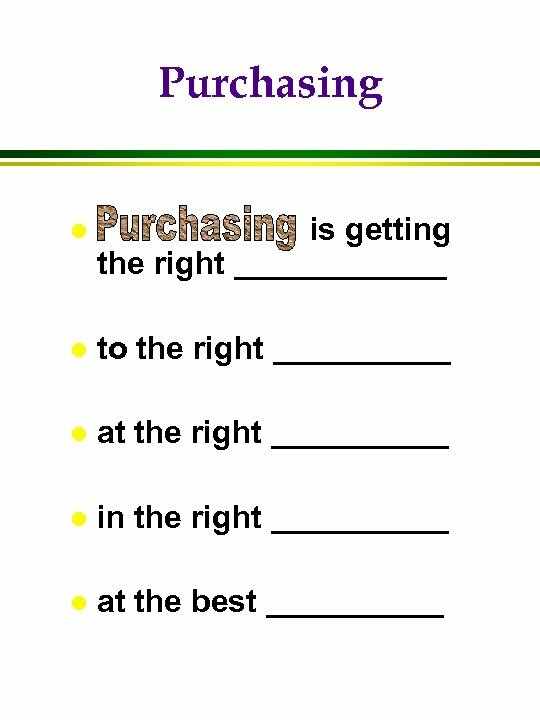 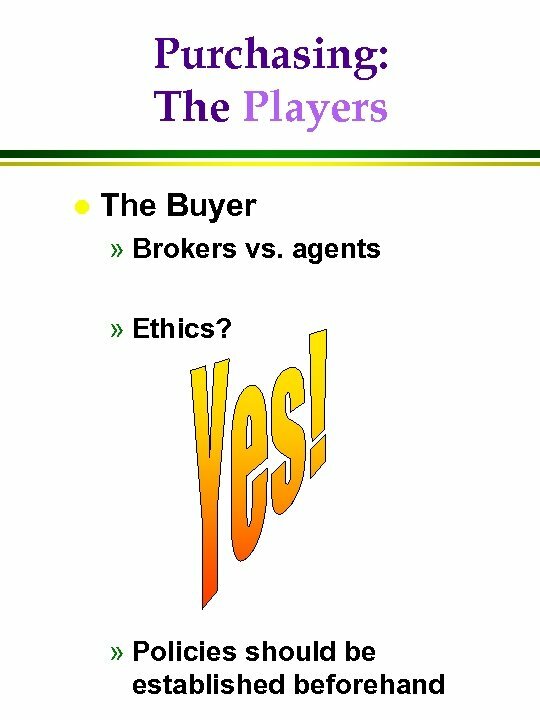 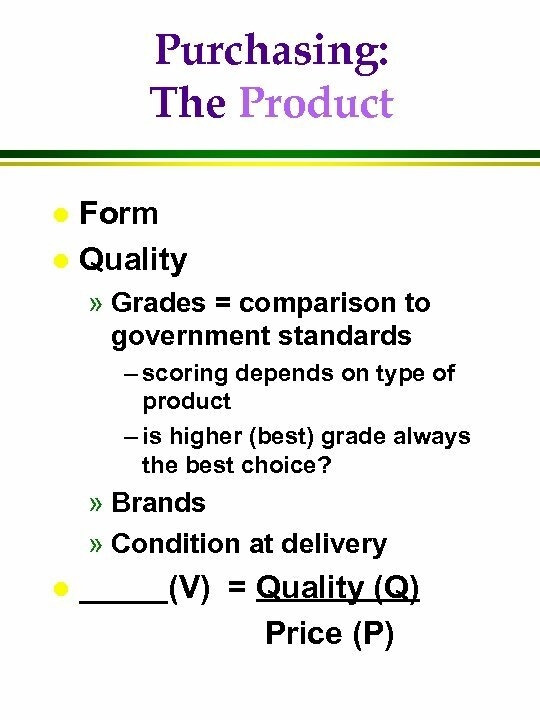 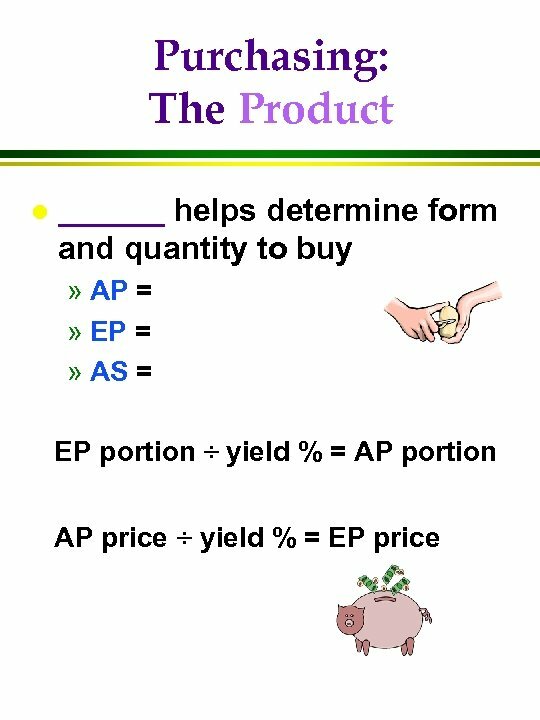 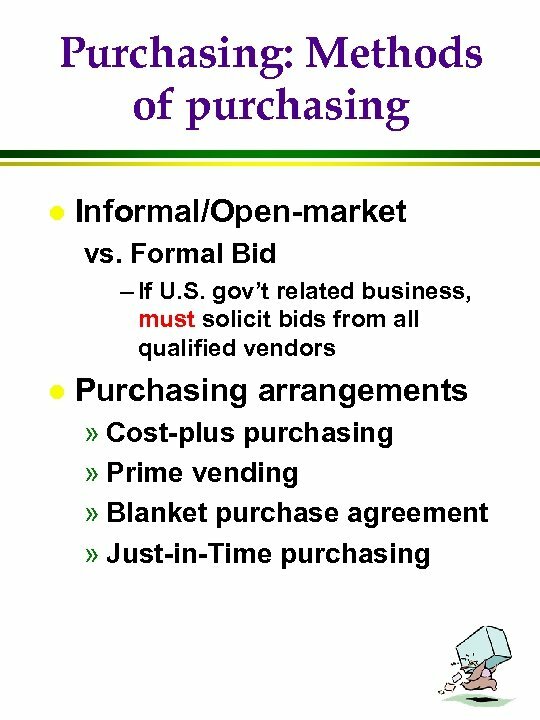 Practice Questions-Purchasing l A. 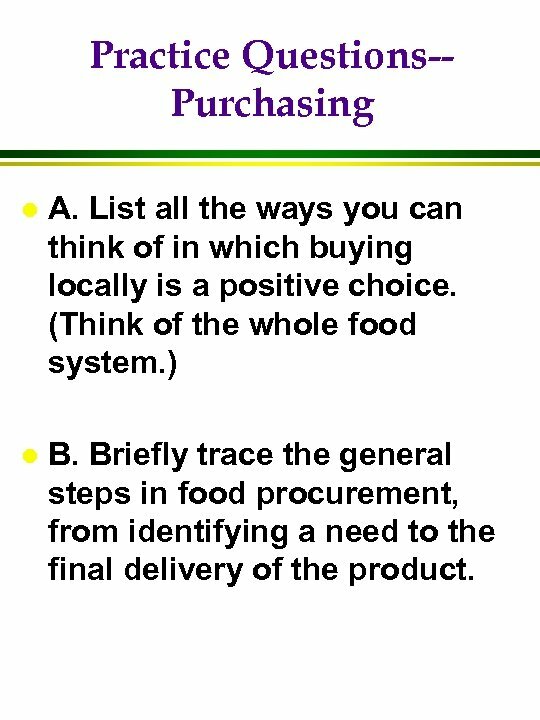 List all the ways you can think of in which buying locally is a positive choice. 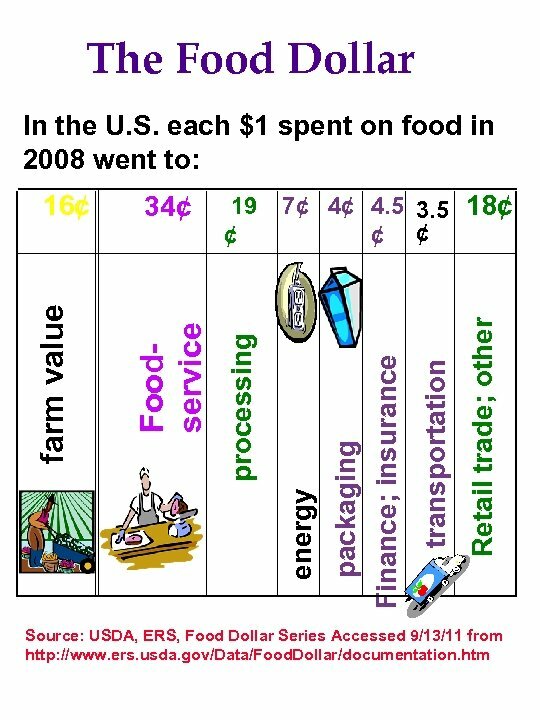 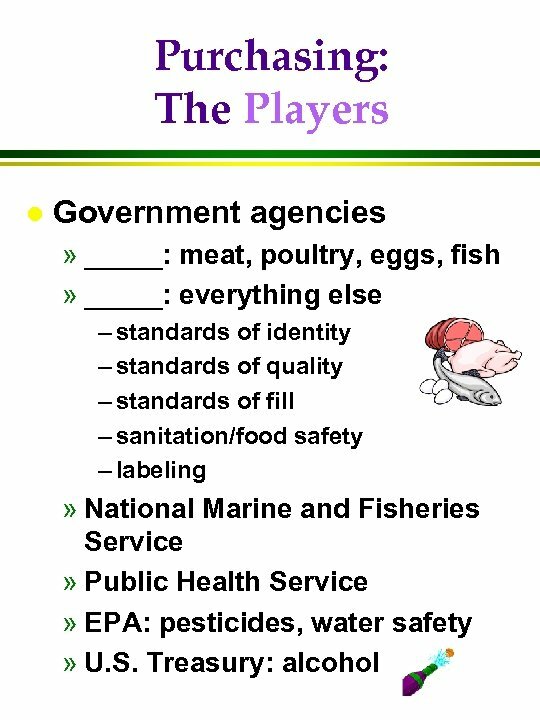 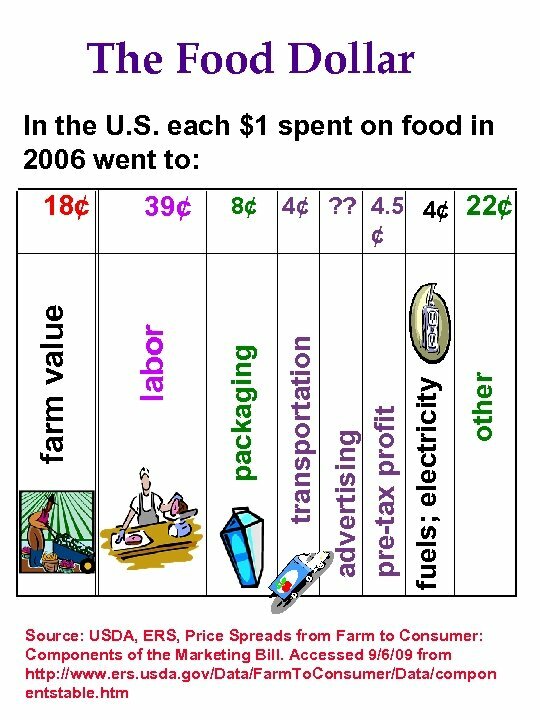 (Think of the whole food system. ) 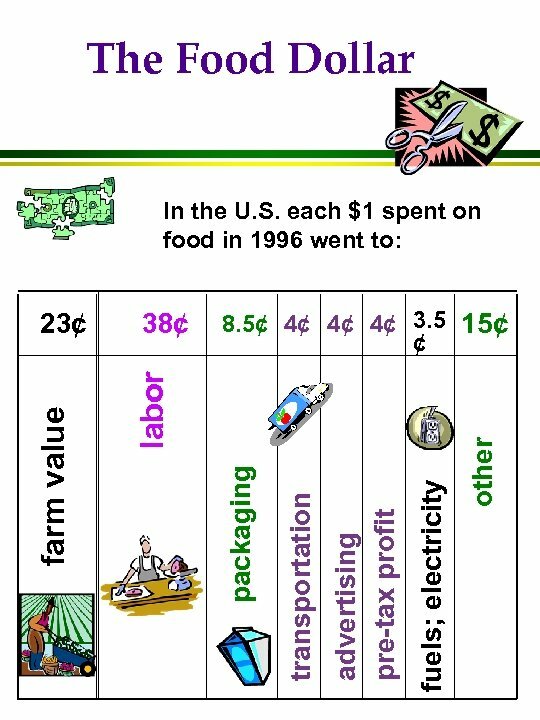 l B. 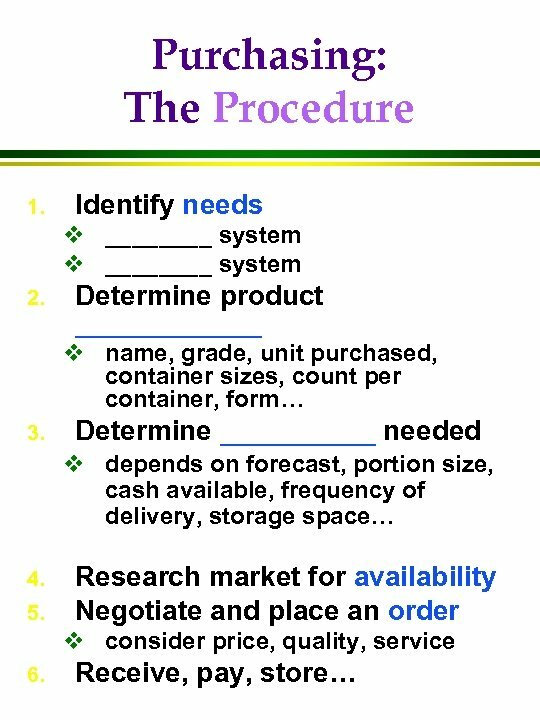 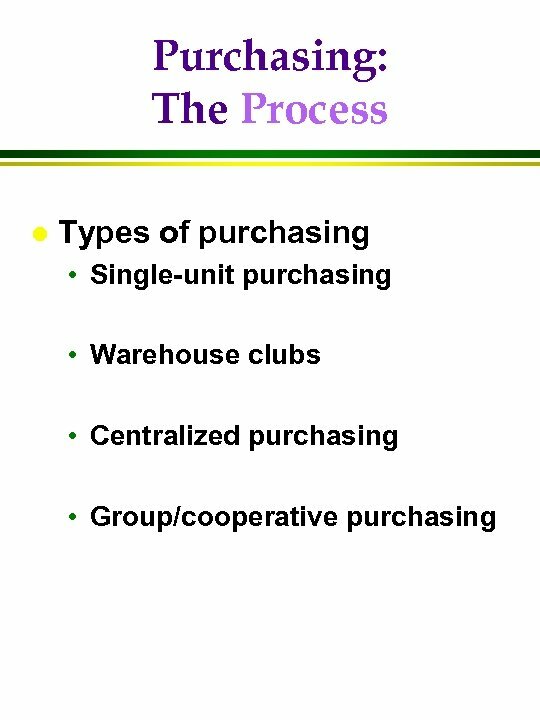 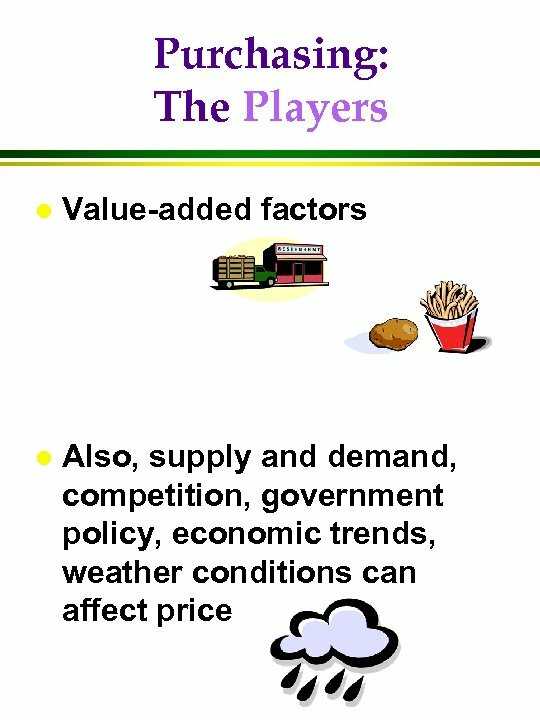 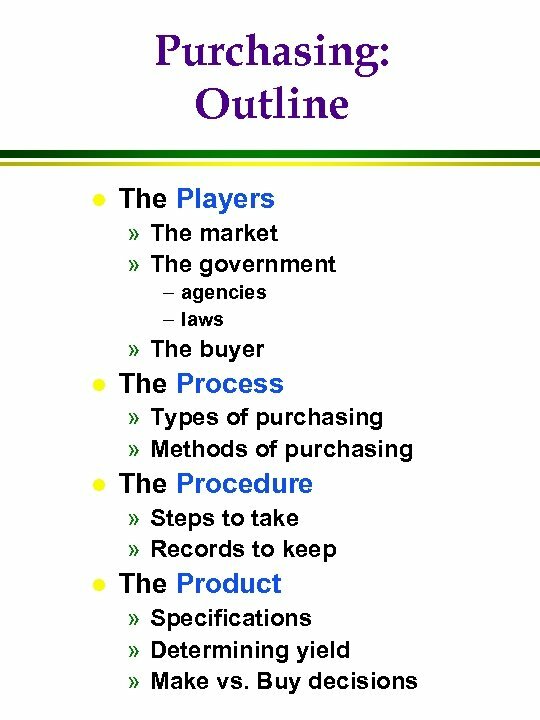 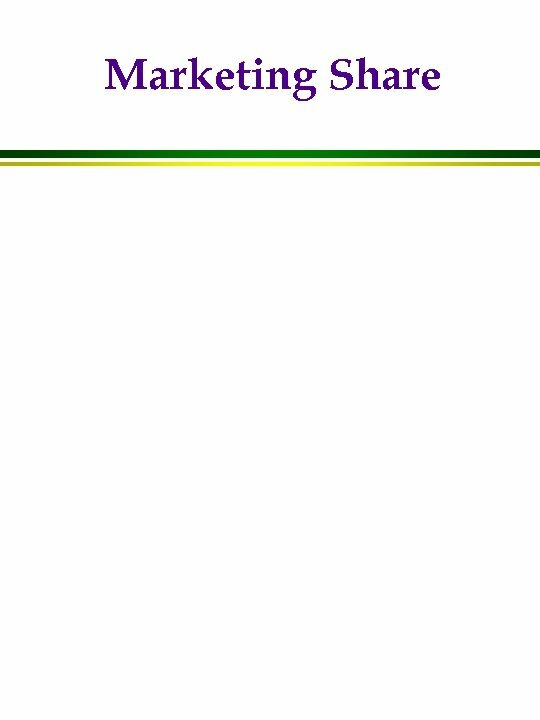 Briefly trace the general steps in food procurement, from identifying a need to the final delivery of the product.